Detachment 365, also known as Doolittle's Raiders, lives in the spirit of James H. Doolittle (1896-1993), who received his master of science and doctor of science degrees in aeronautics at MIT. His pioneering flights, technological contributions to aviation, and famous Doolittle Raid on Tokyo in 1942, are an inspiration to all our cadets. 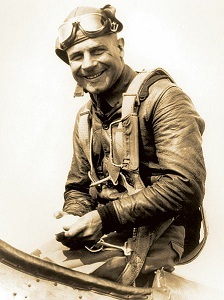 They graduate from our program with confidence, self-discipline and integrity, and aspire to the great character and dedication to country of leaders such as General Doolittle. At Detachment 365, we are proud to continually produce superior officers and leaders for our nation's military and to the overall benefit of society. We support the "citizen-soldier" concept, which contends that a military force created of the people will best support its people. It is this integration of military instruction in a civilian setting that brings the citizen and the soldier together and in tune with the other. Though MIT is the main campus for Det 365, our students also come from Harvard College, Tufts University, and Wellesley College. As a result, our graduates represent many of the nation's best and brightest in both technical and non-technical career fields. They are poised for exceptional service in the military as well as in the civilian sects, particularly in this age of technological advancement, medical breakthroughs and intense foreign relations worldwide. In addition to academic excellence, the prestige awarded to our newly commissioned officers is also in part to the military precedence at MIT. Since the school's opening in 1865, military courses were compulsory for nearly a century, under the provisions of the 1862 Morrill Act requiring all land grant institutions to provide military science courses. 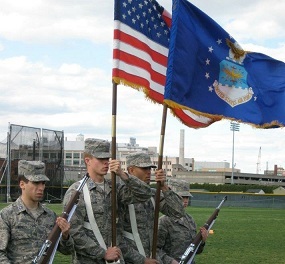 The National Defense Act of 1916 brought this training under a single, federally controlled entity - the Reserve Officers' Training Corps (ROTC), and MIT launched the nation's first ROTC program under the Army. It wasn't until the formation of the USAF in 1947 that Air Force ROTC was offered at MIT with the Navy following suit in 1956. All in all, over 12,000 officers have been commissioned from the tri-services, with over 150 attaining the rank of General or Admiral. We invite you to learn more about Det 365 and the many benefits offered by Air Force ROTC—including scholarships and career-broadening opportunities. Contact us by e-mail or call 617-253-4475 for more information. 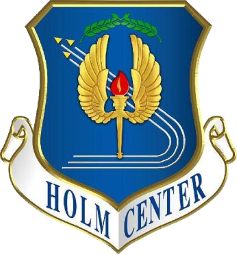 Apply for Scholarships on the Air Force ROTC website.